Vogue Wigs (In Vogue Inc.) is a leading retailer of both synthetic and human hair wigs, based out of Duluth, Georgia, United States. The privately held company sells its selection exclusively online at VogueWigs.com which was launched in 2005. They have thousands of different products to choose from including all kinds of wigs, but also accessories and even costumes. You can easily save money on your purchases by using one of our special Vogue Wigs coupons. These are updated whenever new offers and deals are made available, so be sure to check back every time you order. Vogue Wigs also has an active community side to the website where they encourage customers to post selfies while wearing their wigs. There is also an extensive knowledge base discussing wig care, styling and celebrity styles, and much more. Susan Buchmann currently serves as President of the company, which is said to make over $300,000 in yearly revenue. VogueWigs.com has a vast variety of wigs and hair products sorted in to a number of easy to use categories, including a Sales page if you're looking for a bargain. If you have something specific in mind you can also use the search bar. You can choose from either Synthetic or Human Hair wigs, and a blend of them both, and there are options for Men, Women, Children, and African American hair. To ensure you find a style you like, you can choose the length (short, medium long), and texture (curly, wavy, straight). You can also choose the type of fitting, including Hand Tied, Lace Front and Monofilament. If you feel you get hot wearing wigs there are also Heat Friendly options. Popular wig brands available include: Jon Renau, Vivica Fox, Raquel Welch, Noriko, Rene Of Paris, Revlon, Christie Brinkley, Forever Young, Envy, and others. You can also buy smaller Hair Pieces (Top Pieces, Buns & Wraps, Ponytails, Bangs), Extensions (Waves or Clip-ins), and Accessories (Hair Care products like Shampoo, Wig Stands, Brushes & Combs, and more). Not all customers buying wigs are for health and beauty reasons, they may just be acting or dressing up for a party. So Vogue Wigs also sell a range of Costumes from Historical Periods, Famous People & Characters, Halloween & Horror, Biblical, Clowns, Punk Rock, Native American, and much more. Payments can be made for Vogue Wigs purchases using most common credit cards: Visa, Mastercard, American Express, and Discover. You can also checkout with your Paypal account. To redeem a Vogue Wigs coupon code simply click the offer you want on Coupofy and then a window will open to reveal the code. Copy this over to the store site and paste it in to the promo box during checkout. 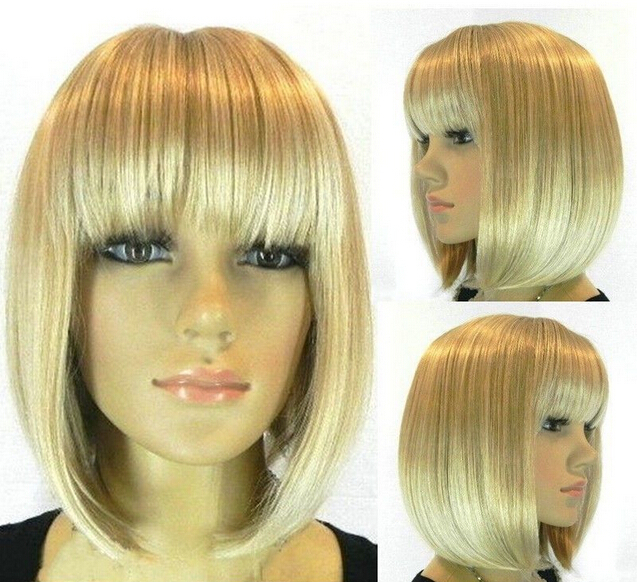 Vogue Wigs ship globally from the single website, though all pricing is listed in US dollars. Shipping costs vary based on the size of your order and its destination so you should add your desired items to the basket and select your country for an accurate cost estimate. You will find that within the US many orders will ship for free without needing a Vogue Wigs coupon code, but you can pay extra for faster delivery. USPS Priority Mail starts at $7.95 and takes 5 to 7 days (smaller items). Priority Mail Express takes 2 days and costs $36.50. UPS Ground takes up to 10 days and starts at $11.39. Second Day Air is $16.26, and Next Day is $30.12. International customers have two options, USPS Priority International (8 to 12 business days) or UPS Worldwide Express (6 to 9 business days). All orders over the value of $300 require a signature upon delivery. Items can be returned in 10 business days from the delivery date. To qualify for an exchange, refund or store credit, items must be unworn, unused and in their original brand new condition. Exchanges within the United States qualify fore free return ground shipping with the supplied label. For cash refunds the customer must cover their own shipping costs unless they received the items in a damaged or defective condition. 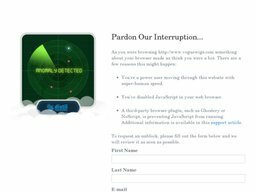 Before you send anything back you must seek authorization from the customer support team. Note if you have used any Vogue Wigs discount codes you will obviously only be refunded the amount billed after the code was applied.